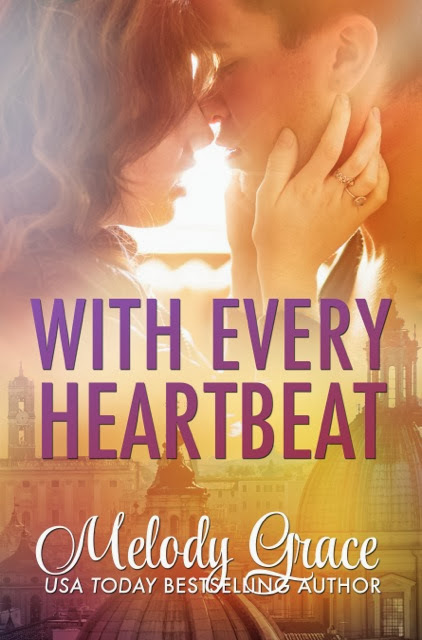 Today we have the beautiful cover for Melody Grace's upcoming New Adult novel, WITH EVERY HEARTBEAT! Set to be released November 8th, WITH EVERY HEARTBEAT is a New Adult Contemporary Romance and is the 1st book in the Cities of Love Series. Raphael is bold, passionate, and seductive. He sees something in me I never dreamed possible, and now he's determined to show me a world beyond rules -- a dance without limits. I want to trust him, but I'm scared. Because I know once I fall, there'll be no going back. An innocent dancer. A mysterious stranger. As Annalise is drawn deeper into the romantic delights of Rome, she'll question everything she believed about her future. But with opening night looming, can she find the strength to risk it all? And will she be forced to choose between her one true love, ballet, and the new passion in her heart? Find out in this enchanting new series from Melody Grace. I love this cover and I am so excited for another Melody Grace book! I actually pre-ordered this one yesterday. I am in love with everything Melody writes so I can't wait either! Eeep! :D YES! I can't wait! I have loved everything of Melody's I've read!